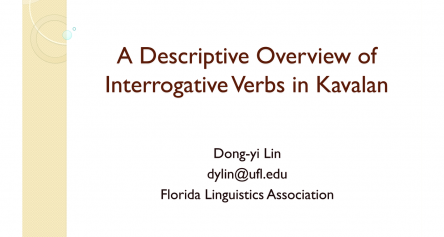 Dong-yi Lin from FLA discusses his research on a typologically unusual question formation strategy: The use of interrogative words as verbs in Kavalan. 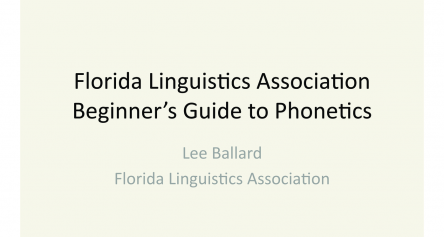 FLA Editor Lee Ballard gives an introduction to English phonetics. 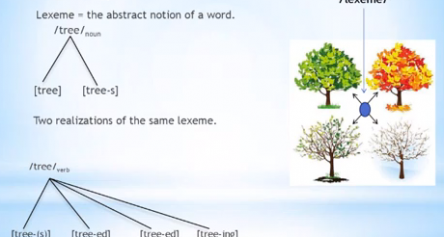 This segment is devoted to consonants, their symbols in the IPA, and the features that distinguish one from the other. 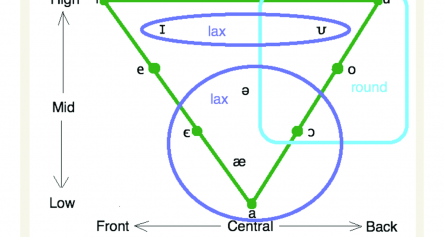 FLA Editor Lee Ballard gives an introduction to English phonetics. This segment is devoted to vowels, their symbols in the IPA, and the features that distinguish one from the other. 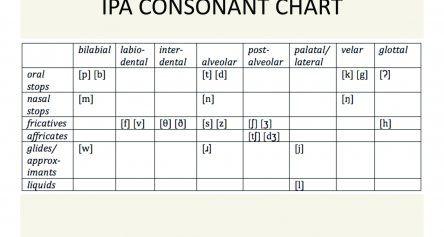 FLA Editor Lee Ballard offers this first installment in his introductory series for phonetics. Ballard discusses the place of phonetics among the other linguistic sub-disciplines and differentiates it from phonology. He also introduces the articulators and the characteristics of vowels and consonants. 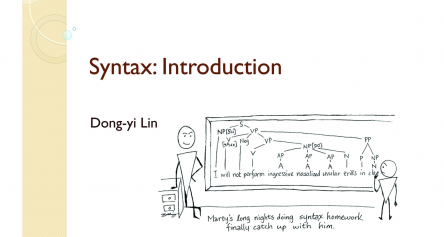 FLA Editor Dong-Yi Lin offers an introduction to syntax, touching on topics such as Universal Grammar, generality, creativity, and inaccessibility. FLA Editor Joel Deacon gives an introduction to morphology, addressing topics like what morphology is, why it is studied, and its uses among linguists.